Classic in a suitcase. 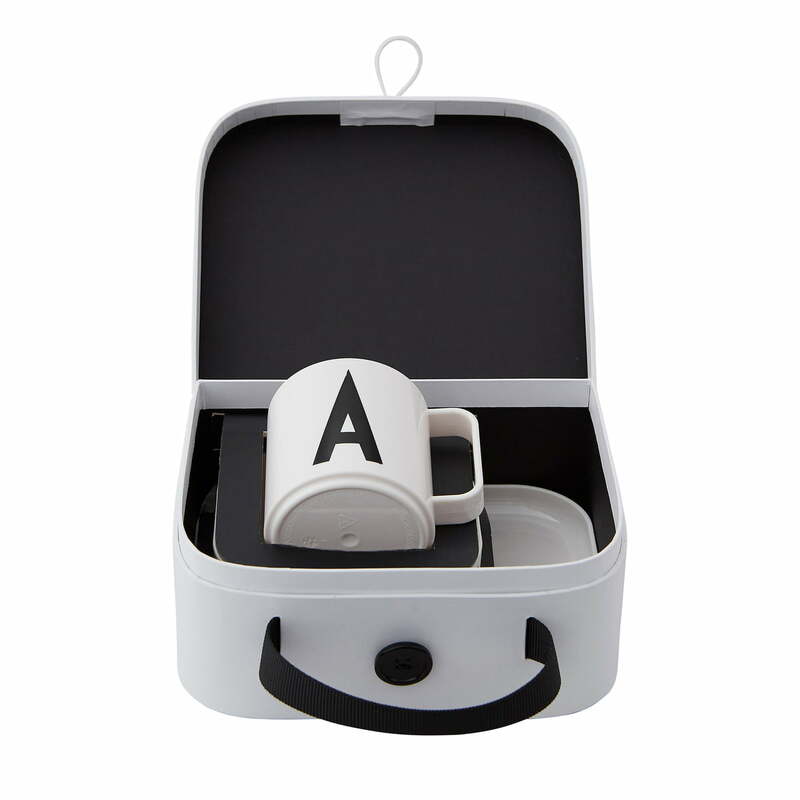 The children's tableware set by Design Letters comes in an exclusive and playful case, which makes the set a special gift. In the small case there is a cup with handle, a rectangular plate 17.5 cm x 14 cm and a bowl with a diameter of 11 cm. 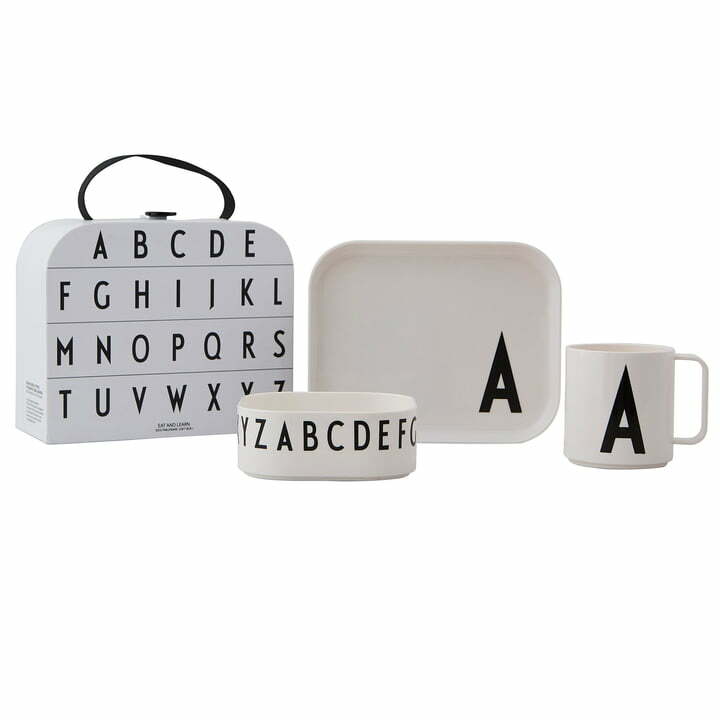 Cup, plate and bowl are decorated by the ABC in the iconic Arne Jacobsen typography. The Dane originally designed the typeface in 1937 for the internal signage of the Aarhus Town Hall. The simple letters and characters are particularly striking and at the same time extremely timeless. The children's tableware is made of BPA-free tritan. The thermoplastic material is tasteless, food safe, heat resistant, shatterproof and dishwasher safe up to 80 °C. 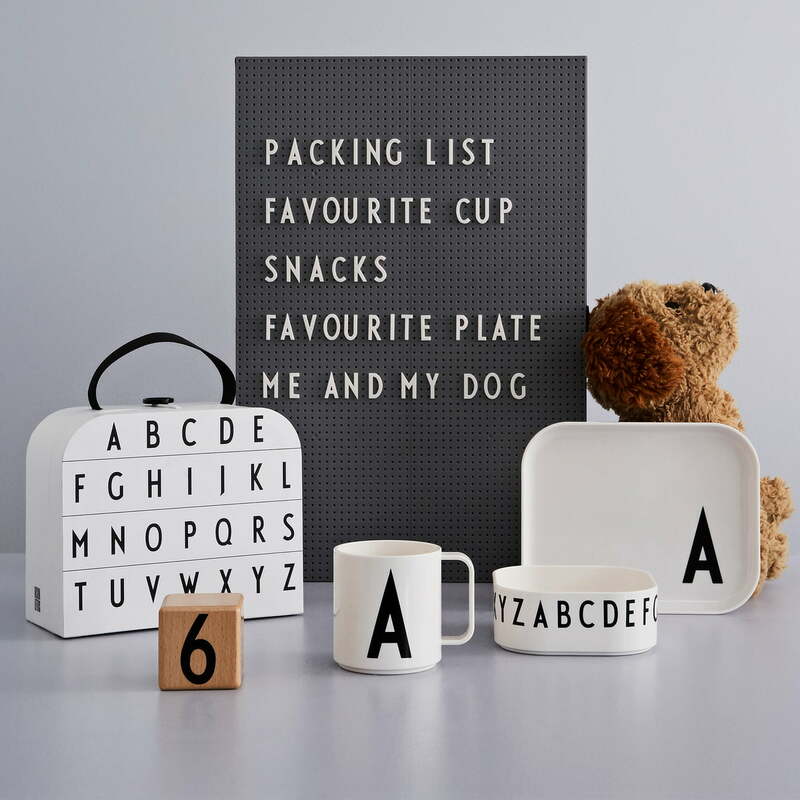 Bowl, mug and plate are suitable for every meal and the crockery blends in perfectly with the table setting, without appearing childish or kitschy. In the small case there is a cup with handle, a rectangular plate 17.5 cm x 14 cm and a bowl with a diameter of 11 cm. 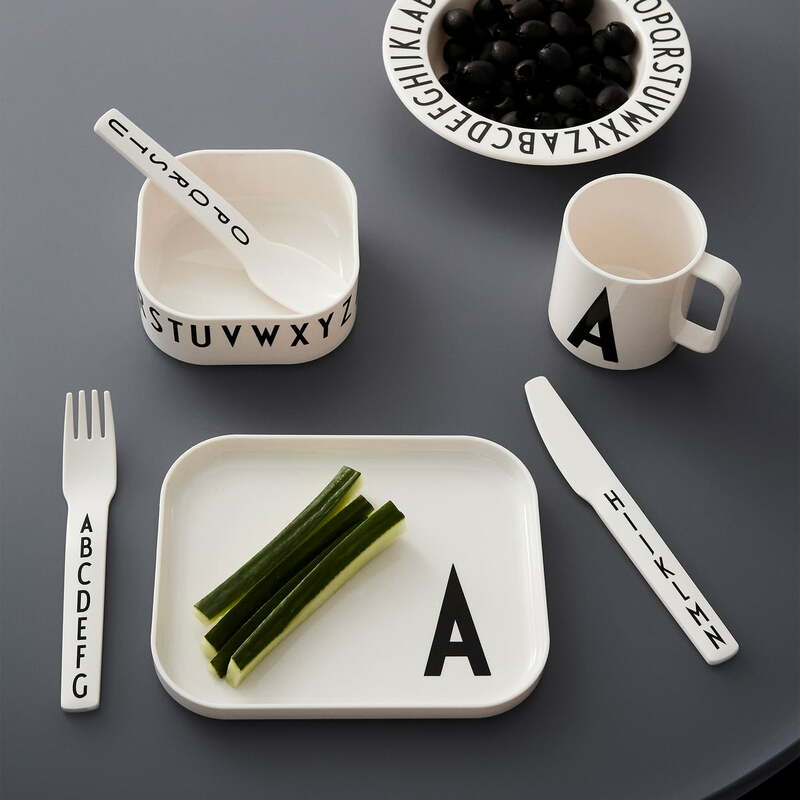 Cup, plate and bowl are decorated by the ABC in the iconic Arne Jacobsen typography. The Children's Tableware Set incl. Case by Design Letters The simple letters and characters are particularly striking and at the same time extremely timeless. The children's tableware is made of BPA-free tritan. The thermoplastic material is tasteless, food safe, heat resistant, shatterproof and dishwasher safe up to 80 °C.